framework for the management of regulatory capital. The CRD was transposed into Irish law by two statutory instruments issued by the Minister for Finance. Both of these statutory instruments together with an Implementation Notice (FR Notice), issued by the Central Bank of Ireland, provide the primary framework for the application of the CRD in Ireland. 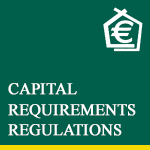 The European Communities Capital Requirements Regulations (158/2014) are the latest iteration of the original CRD. The regulatory aim of all disclosures is to improve market discipline. Pillar 3 establishes the market discipline, which requires MMPI to publicly disclose its policies for managing risk and its capital requirements. This is designed to promote market discipline by providing all market participants with key information on MMPI’s risk exposures and risk management processes. 12.2 of the FR Notice entitles all firms subject to CRD to omit one or more of the required disclosures if they believe that the information is immaterial. Materiality is based on the deduction that the omission or misstatement could change, effect or influence the assessment or decision-making of a professional investor and/or consumer relying on that information for the purpose of making economic/investment decisions. In addition, under 12.3 of the FR Notice investment firms may also omit one or more of the required disclosures where they believe that the information is regarded as proprietary or confidential. Information may be deemed proprietary if sharing that information with the public would undermine the firms’ competitive positions. Proprietary information may include information on products, services and/or systems which, if shared with competitors, would considerably reduce the value to MMPI of its investments in those products, services and/or systems. Information may be regarded as confidential if there are obligations to customers or other counterparty relationships or a general duty of care to clients and business partners binding MMPI to confidentiality. Where MMPI has omitted information for either or both of these reasons the reasons for such decisions have been highlighted, hereunder, as appropriate. The disclosures made within this document are presented solely in respect of MMPI Limited (“MMPI”; “the Company”) as the authorised entity regulated by the Central Bank of Ireland. MMPI’s primary activity is to offer financial advice on regulated financial instruments to consumers and professional investors. MMPI has adopted the standardised approach to credit, market and operational risk under Pillar 1 as set out by the Central Bank of Ireland. The Board of Directors considers that it retains sufficient capital resources to more than meet the minimum capital requirements as per its regulatory requirements. The risk management processes adopted by MMPI are more than appropriate to monitor and control all risks given the nature, scale and complexity of MMPI’s business model. The term ‘risk’ is often confused with ‘hazard’, which means the potential to cause negative outcomes. Risk, however, is the probability that a hazard will lead to a negative outcome, which is also referred to as a quantifiable exposure. 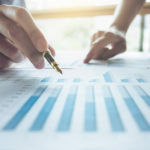 The hazard (exposure) can, therefore, be seen as the uncertainty in the future realisation of agreed business objectives, such as earnings or budgeted expenditure. On the other hand, risk is the chance of a negative outcome of such a variable. It is evident that MMPI can do little about the existence of hazards. However, the Company is in a position to aggressively recognise, monitor and manage any and all resultant risks. Effective risk management assists in the delivery of the Company’s strategic objectives; protecting the value of MMPI by managing potential threats and adding value by enhancing our ability to take advantage of the available opportunities. It also aids capital planning, enabling MMPI to retain the ability to meet its liabilities as they fall due and to retain its regulatory status with the Central Bank of Ireland. The Board of Directors of MMPI, as the regulated entity, is responsible for risk management. The Board is comprised of Directors who have the necessary skills and experience to lead the Company and to effectively control risks within agreed tolerances. Although MMPI is not a stock-exchange listed Company, it aspires to good practice, and has a robust system of corporate governance and controls; implementing a significant number of key aspects of the Combined Code on Corporate Governance, in order to reasonably secure the achievement of our business objectives and to foster continuous business enhancements. MMPI has implemented a strenuous approach to risk management. The Company’s risk management policy and risk management arrangements apply to all of MMPI’s activities, employees and business partners. MMPI does not operate a separate Risk Committee but strives to copper-fasten an effective risk management and internal control function through its corporate governance and operating structure. While ultimate ownership rests with the Board of Directors, all employees of MMPI are responsible for effective risk management. Team leaders are accountable for managing all inherent risks within their business areas, ensuring compliance with agreed budgets, policies and prevailing regulatory and legal requirements. Responsibilities are clearly defined and reporting lines ensure that the appropriate segregation of responsibilities between front and back office are maintained. Recruitment is targeted at high calibre employees and all employees are provided with specific training to meet their development needs. MMPI has a Risk & Compliance function, which undertakes a set of monitoring activities on the operation of the first approach, above. All activities are determined by risk tolerance; with particular focus given to regulatory compliance. This approach provides direct assurance to the Board of Directors that management activities are in accordance with MMPI’s risk policy; and that practices are aligned to the risk attitude set by the Board of Directors. The Board of Directors receives regular reports and updates from the Risk & Compliance function to enable it to monitor and review the spread and breadth of MMPI’s risk profiles. Corporate governance is about promoting corporate objectivity, transparency and accountability. It is the mechanism by which businesses are directed and controlled. The corporate governance structure of MMPI specifies the distribution of rights and responsibilities among different participants in the business, such as, the Board of Directors, managers, shareholders and other stakeholders, and spells out the rules and procedures for making decisions on corporate affairs. By doing this, it also provides the structure through which the Company’s objectives are set, and the means of attaining those objectives and monitoring performance. The Board of Directors of MMPI pays particular attention to the latest best practices in corporate governance in order to protect its business processes. MMPI manages a number of different categories of risk using its comprehensive approach to risk management. This approach involves identification of its inherent potential risk exposures; identification of possible threat events that might give rise to a physical risk; an assessment of the suitability and effectiveness of our controls and mitigating activities; and confirmation that residual risk exposure conforms to our risk attitude, considering both our regulatory and economic capital requirements. Where residual risk exposures are considered unacceptable, MMPI will immediately implement mitigation measures and/or will reduce the residual risk by other means in a timely manner. The Board of Directors establishes and determines the appropriateness of risk tolerances, risk attitude and the level of exposure for the Company on at least an annual basis (and for all new business initiatives). Risk attitude is the level of risk MMPI chooses to accept in pursuit of its strategic objectives and corporate sustainability. MMPI’s risk attitude considers all aspects of financial-services risk but concentrates on operational risk, which the Board of Directors considers presents the greatest financial exposure. In setting risk attitude, MMPI considers its ability to sustain its financial viability, support desired business growth and maintain adequate risk and regulatory capital. However, MMPI adopts a risk-averse attitude in respect of any actions or activities that might give rise to unfavourable customer outcomes, negative experiences and/or risk exposures. 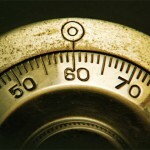 Performance against risk attitude is measured and reported to the Board of Directors periodically throughout the year. Market risk is defined as the exposure of the Company’s net-worth to adverse movements in market rates, e.g. exchange rates, interest rates, commodity rates, etc. Market risk occurs throughout the lifetime of such exposures and is not eliminated until the maturity date, if any. MMPI acts on behalf of its clients in the reception and transmission of orders with market makers; e.g. stockbrokers, bank traders, etc. MMPI is not a market maker in its own right and does not undertake risk on behalf of its clients. Any indirect exposure, which MMPI might retain to market risk, is considered immaterial. Elsewhere, MMPI’s exposure to market risk is limited to the holding of assets in currencies other than euro. This exposure is considered immaterial. MMPI maintains a widespread client base and is not exposed to material credit risk; in circumstances whereby MMPI will be unable to collect client fees from several or more clients. MMPI maintains bank accounts for its own assets and, separately, for its clients’ assets with banks operating in the State, which have acceptable credit ratings and which are regulated by the Central Bank of Ireland. This exposure is considered immaterial. MMPI maintains its own assets in short-term cash accounts or similar. It is not exposed to liquidity risk. MMPI is not engaged in securitisation activities and does not have any exposure in this risk category. MMPI maintains appropriate insurance cover with highly rated and financially stable underwriters. The risks arising in this category relate to excesses payable on foot of claims, if any, on MMPI’s insurance cover. Such risks are deemed immaterial. 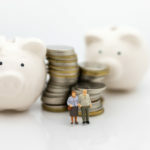 MMPI has no obligation to subscribe any monies to executive and/or staff defined contribution pension plans in excess of the agreed monthly contributions based on a percentage of salary, where applicable; such agreed monthly contributions are not binding on MMPI and they may be terminated at any time, given reasonable notice, to executives and/or employees. MMPI has no exposure to concentration risk. MMPI seeks professional opinion from its legal advisers from time to time on a variety of matters and where necessary seeks a second opinion from an independent source. Any and all exposures to inappropriate advice and/or ineffective opinion from legal sources, if any, are adequately covered under the Company’s Professional Indemnity insurance policy. MMPI is not exposed to risks residual to the risks identified, herein. Please see Operational Risk, below. MMPI has no debt and, therefore, movements in interest rates have an immaterial impact on the business. At current interest rates the risk of further falls in interest receivable from MMPI’s cash holdings are limited and any increase in rates would have the effect of generating additional income from cash surpluses. A more generalised definition is that operational risk is the risk that the operation will fail to meet one or more operational performance targets. Operational risk relates to all inadequacies or failures in MMPI’s processes, people or systems, and/or as a result of external events. The key risk in this area is business failure as a result of reputational damage, general mistrust of the financial services industry, the continued malaise of the financial regulatory environment, a global reduction in fund values due to a significant general market downturn and poor contingency management arrangements. MMPI faces potential damage to its regulatory status on foot of inferior procedures and practices. This could result in sanctions and/or fines and/or suspension or termination of the Company’s regulatory authorisations. The Company may incur reputation risk to its good name, on foot of inferior investment advice and the general provision of investment business services. Such damage could result in sanctions and/or fines imposed by the Central Bank of Ireland; or by the Financial Services Ombudsman; or other statutory authority; or the Company could be subject to court proceedings and/or other public actions by disaffected clients. Risk exposures are managed in accordance with MMPI’s risk attitude using the risk management framework described earlier. Conservative assumptions are used within our business planning and stress testing is performed to ensure that in the event of a severe downturn, there would be sufficient capital to enable MMPI to meet its capital requirements. ~ The sum of the Market and Credit Risk Requirements. MMPI’s approach to assessing the adequacy of its internal capital to support current and future activities is undertaken through its Internal Capital Adequacy Assessment Process (ICAAP). All known risks, including operational risks, have been assessed and appropriate stress tests and scenario analyses undertaken to help determine any additional capital required.